Soft peaks means the cream or egg whites have peaks with curls that go downwards (a ‘bec d’oiseau’ in French). It should still hold well and not slide down your whisk or out of an upside-down bowl. But it shouldn’t be dry like stiff peaks and it’s a more flexible and easier mixture to fold other ingredients into. 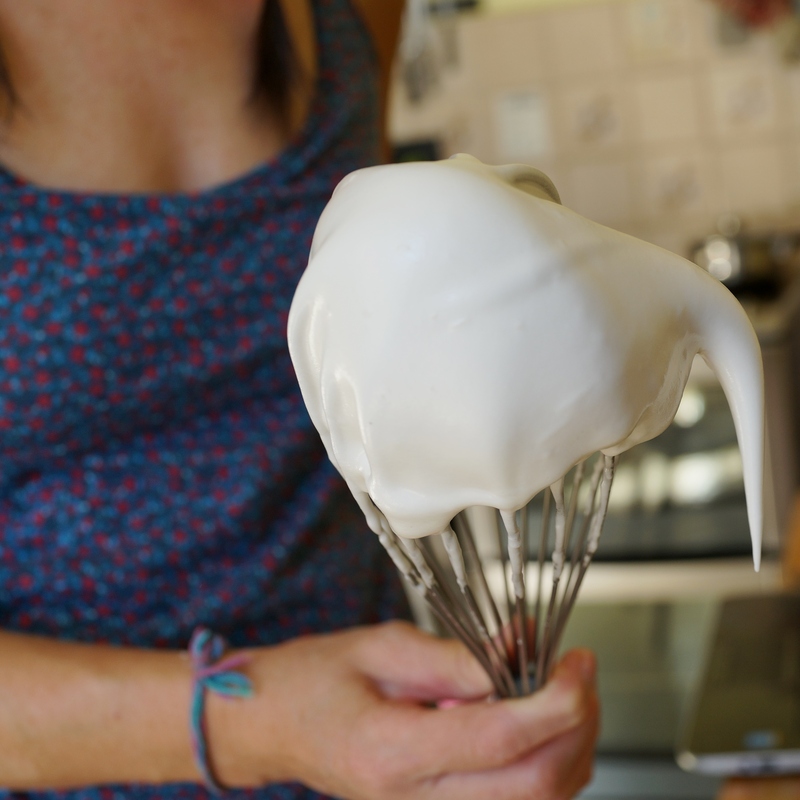 To make sure you get soft peaks recipes often have you whisk in a little sugar, which will give you whites in a soft peak meringue as in the photo below. Stiff peaks means the cream or egg whites have more defined and stiffer peaks facing upwards. If you turn a bowl of stiff egg whites upside-down the mixture should not fall out. Whites in stiff peaks become quite dry. Warning: with cream you should be careful when you reach stiff peak stage and stop as soon as the cream doesn’t fall out of an upside-down bowl. If you continue the cream will turn into butter very quickly and easily.